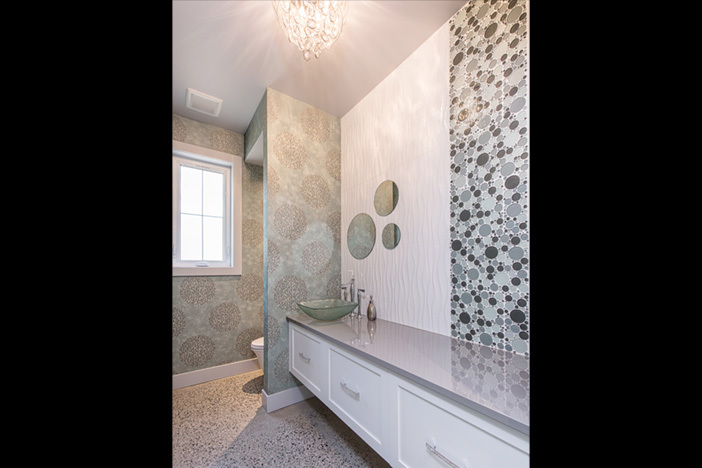 This gorgeous new home on Pelican Drive was designed by owners Dennis and Lorraine with help from Ron McNeil of McNeil Designs. 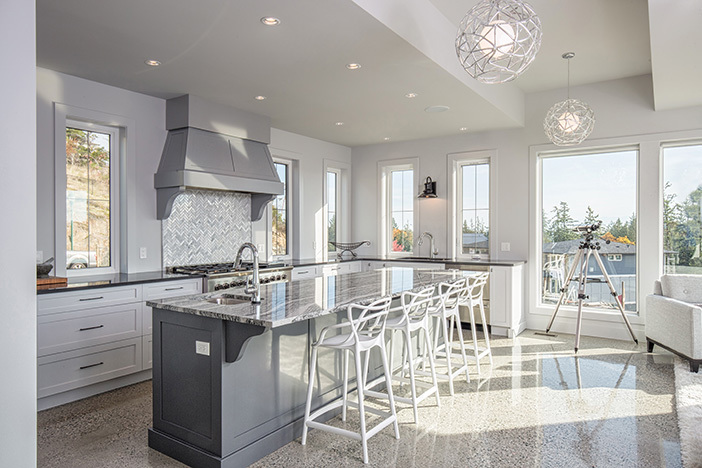 This new custom home in Victoria, BC has a very clean and easy look to it; we call it “modern farmhouse contemporary”. 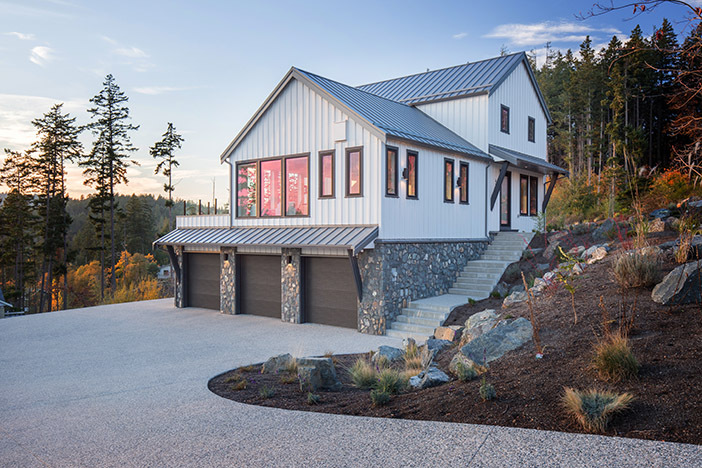 Hardie Panel wall cladding complements a standing seam metal roof, and the barge boards on the gable ends are clad in metal to reduce maintenance. 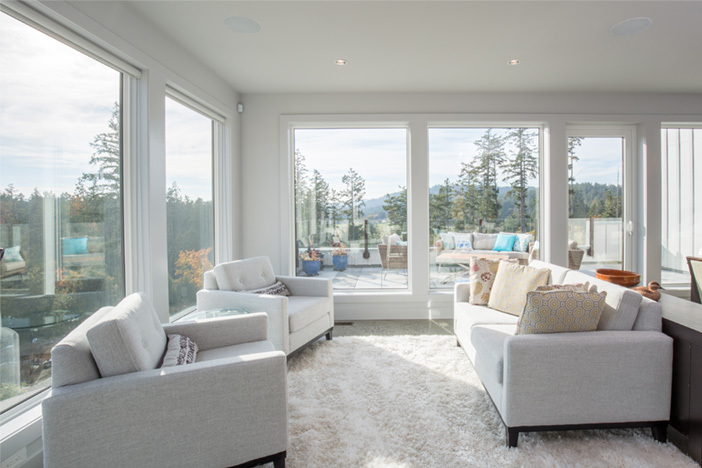 For energy efficiency, Euroline products are used for all windows and doors. 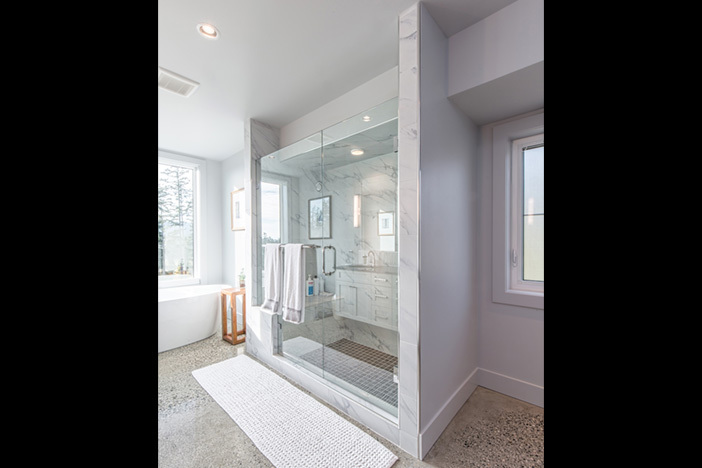 These are manufactured locally in Vancouver and are among the best available in North America. 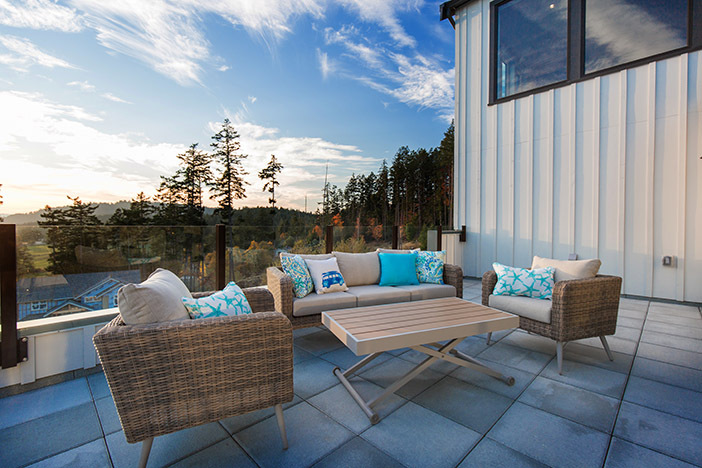 Continuing the theme of energy efficiency, a Trane heat pump and gas forced-air backup was installed by Island Energy. 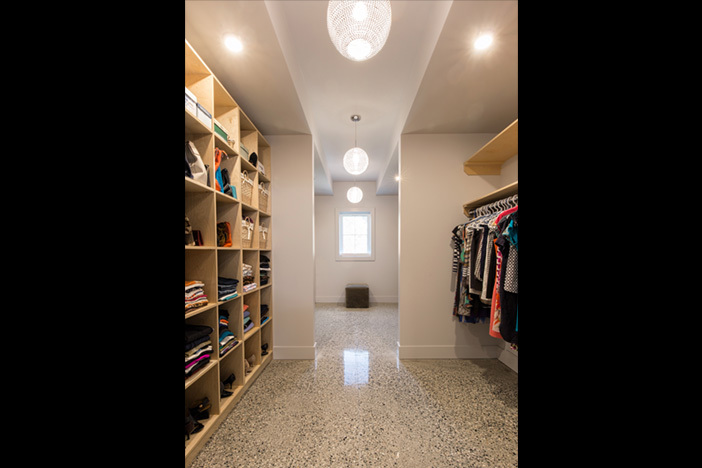 The interior of this home boasts polished concrete floors which provide both extreme durability and a contemporary look. 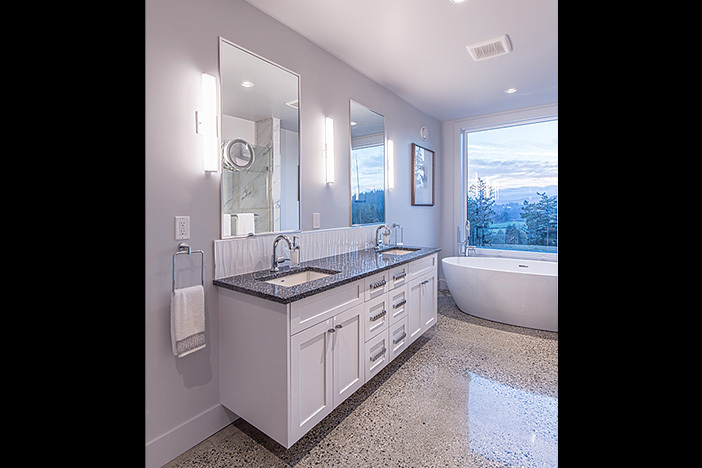 Craig Shannon at Vancouver Island Polished Concrete provides absolutely stunning results! 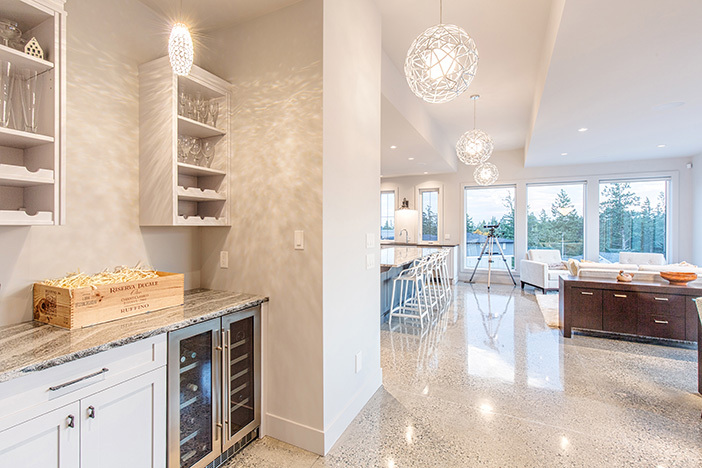 Upscale cabinetry and fixtures are paired with gorgeous stone countertops to create a wonderful entertaining space that will be enjoyed for years to come. 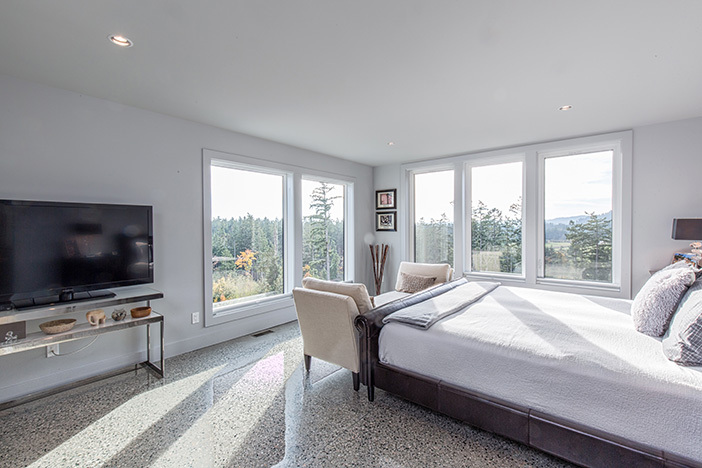 A large master with en-suite and walk-in closet provides a spa-like oasis with million dollar views. 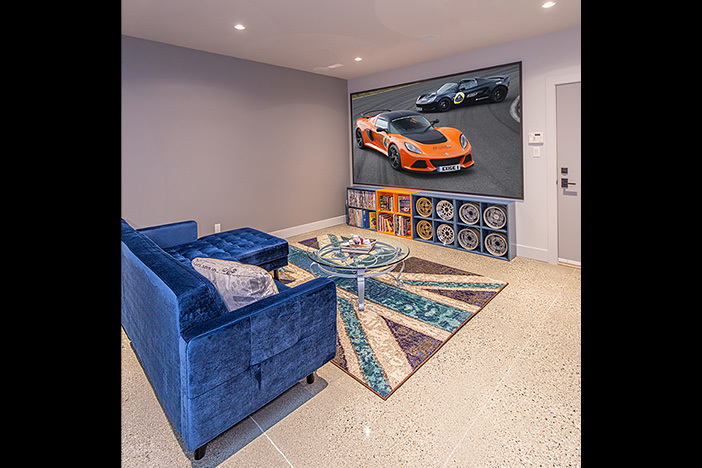 Down a gorgeous custom staircase, a theatre room awaits, providing the perfect setup to watch the game. 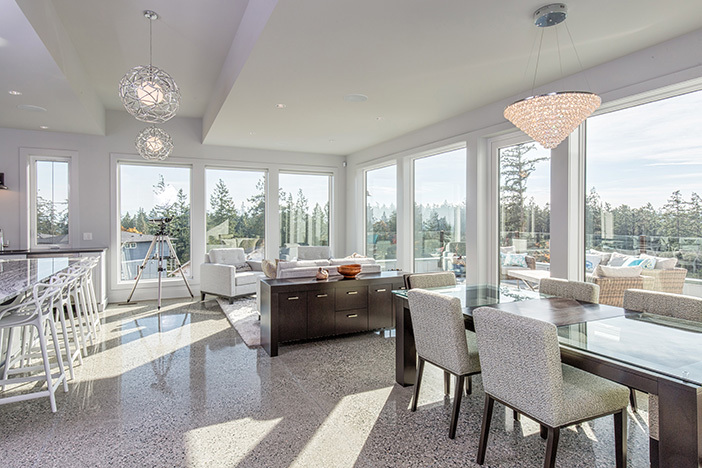 Peter Schultze has been building beautiful new homes in Victoria, BC for over 20 years. 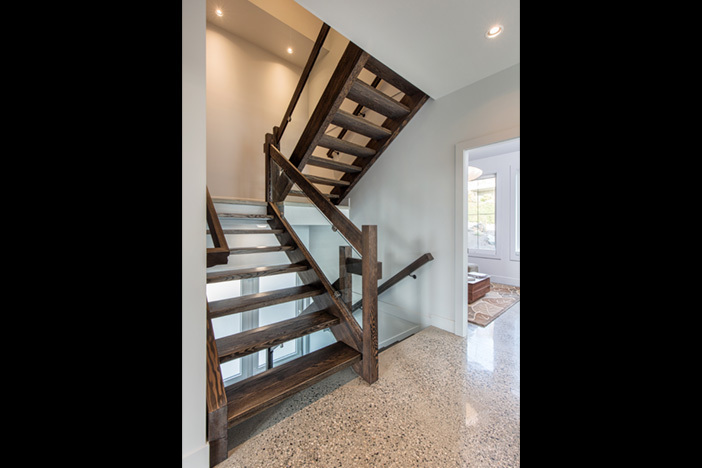 Contact Peter Schultze Construction today for a consultation on your custom home project.